Calls have been made to ensure that all children and young people have access to the arts, culture, and heritage, regardless of their ability. 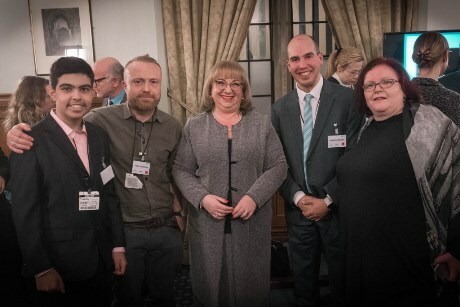 At an event held at the House of Commons last week and hosted by Sharon Hodgson, MP, various organisations came together to celebrate the 100th signatory to the Cultural Inclusion Manifesto. The manifesto, launched in 2018, is a set of shared beliefs which aim to guide inclusive practice in the education, art and culture sectors. It has so far been signed by politicians and people with disabilities as well as arts, culture and heritage organisations including the Royal Albert Hall, the National Gallery and the Royal Philharmonic Orchestra. • There is a significant difference between the proportion of children aged five to ten, with and without a limiting disability, who had visited a heritage site (53.1% and 71.5% respectively). 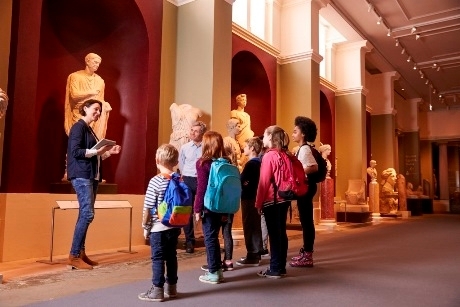 • Non-disabled children and young people aged 11-15 are twice as likely to visit a museum with their school than their disabled peers. The manifesto is also calling on the Arts Council to develop a specific cultural inclusion strategy around disability to enable equal access to such venues for children and young people. Dr Adam Boddison, chief executive of NASEN (National Association of Special Educational Needs), told the event that we need to “recognise that the arts can lead to inclusion in its own right”. The manifesto says that the inequalities in access to artistic and cultural activities between disabled and non-disabled children and young people has been compounded by cuts in government funding and the increased emphasis on core academic subjects. Paul Morrow, special needs teacher and author of the manifesto, said its aim was to “offer a fundamental shift in how we can all work collectively supporting young people with special educational needs (SEN) in accessing high quality arts and culture”. For more information and to sign the Cultural Inclusion Manifesto go to www.culturalinclusion.co.uk/support.